Why Should You Employ Custom 3 x 5 Magnets for Aggressive Value Building? A custom 3×5 magnet is rectangular in shape, which offers a large imprint space and offers good visibility to information imprinted against them. It is perfect for promoting an event, product or company. Also, you can employ these rectangular magnets for wedding announcements, sports promotions or awareness generation depending on the choice. Personalized magnets add punch to value building and offers lasting solution to marketers who cannot afford to invest in big budget gifts. Going by purchasing trends, it can be seen that 3×5 custom magnets are becoming favored choice for aggressive value building, do you know why? Adorability – What is so great about rectangle magnet, they are very common? Yeah, they are extremely common choice for brand building; still there is high demand for promotional magnets in rectangular shape because marketers find them highly purposeful. They know it is one thing, which will lend credibility to their business messages and offers them enough space for expressing themselves. This is perhaps one factor, which also impresses individuals who wish to utilize rectangular magnets for making some personal announcements or expressing their emotions. 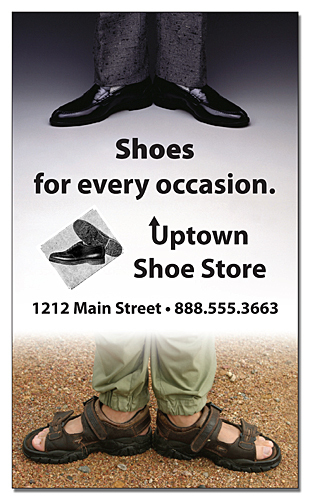 Affordability – As with most other bigger promotional magnets, the personalized 3x5magnets are affordable of the lot. Also, marketers who plan to invest in these magnets can visit any reliable online stores selling custom magnets and make bulk orders. They can avail interesting price savings by placing wholesale orders and also they can enjoy benefits such as free online design proof, free art set up and free shipping. Attention Seeking – People never really grow out of rectangular sticker or rectangular magnets. They always stop by to see what is being imprinted against it. Thus, a customized 3×5 magnet is going to do extreme favor to you and your brand by showing up easily. The custom 3×5 magnets can be employed for direct marketing such as business cards or many others or it can be used for purposeful value building such as coupon marketing or refrigerator art or as a shared purpose gift, where a person can use it for scribbling or writing something or they can use it for holding papers. You can avail 3×5 magnets in 20, 25, and 30 MIL thickness and many more. It also makes a value effective choice for marketers who cannot afford to make splurge on outdoor advertisements. These magnets can truly justify your need to be seen large and big against the investment!